Northrop Grumman unveiled a new sensor pod capable employing of multiple, interchangeable sensors, including an infrared search and track (IRST) system. The manufacturer’s new “OpenPod” announcement on June 2 came months after Lockheed Martin introduced its new Legion Pod with IRST system, designed for F-15C and F-16 retrofits. 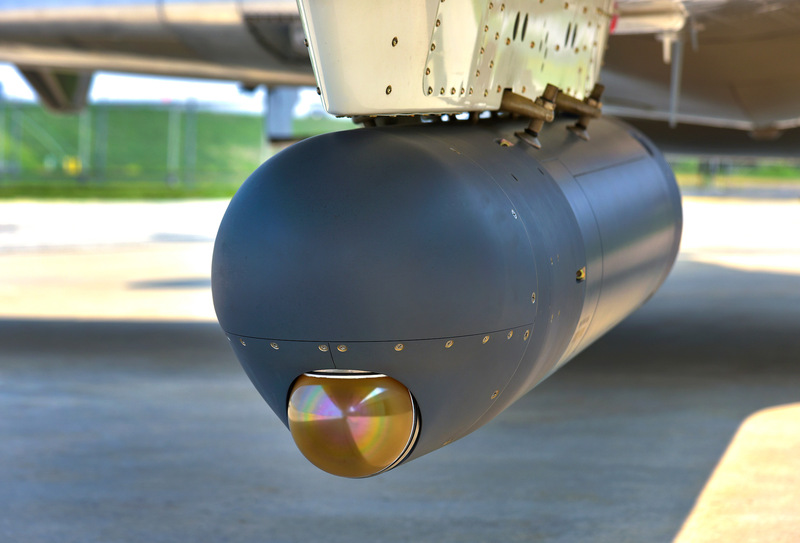 The OpenPod is an evolution of Northrop Grumman’s AN/AAQ-28(V) Litening pod, a multi-sensor targeting and surveillance system that has been integrated on eight aircraft types, including the F-15 and F-16. Any Litening pod can be converted to an OpenPod, and sensors can be swapped out without modifications to the aircraft or its mission computer, the manufacturer said. OpenPod will be available with targeting and IRST packages upon launch, followed by communications, light detection and ranging (Lidar), communications and other options. Italy’s Selex ES is supplying the IRST sensor. Northrop Grumman did not specify a host platform in its announcement; however, a briefing slide features U.S. Air Force F-15 and F-16 fighters. In November, the service issued a request for potential sources to supply an IRST system for the F-15C, which it has designated as the host platform for a next-generation system. It is investigating the availability of a “production ready” IRST system for fielding in 2018 and a development system that could be fielded around 2020. When it unveiled the Legion Pod in February, Lockheed Martin said the system would be available to support the F-15C IRST requirement. The new pod will come with Lockheed Martin’s AN/ASG-34 IRST sensor, which it calls IRST21. In December, the U.S. Navy received approval to begin low-rate initial production of a tracking pod with the new-generation IRST sensor for the F/A-18 Super Hornet.